You are invited to be a pilgrim to the Holy Land, April 29-30, 2018. The Rt. Rev. Dr. Stephen Andrews (Principal, Wycliffe College) and I are organizing a pilgrimage to the Holy Land for the Diocese of Algoma, Thorneloe University, and their friends. Participate in this once-in-a-lifetime opportunity to explore the Holy Land with fellow pilgrims. There will be regular opportunities for reflection, study, and worship as we follow in the footsteps of Jesus and his disciples, as well as opportunities for exploring the modern political and religious complexities of the Holy Land (and of course shopping and sightseeing!). We will be hosted by a professional local guide, and Bishop Andrews and I will provide biblical, liturgical and spiritual leadership for the group. Space is limited and time is running out to register (you must be registered no later than January 30, 2018). For more information and to express your interest, please contact me at rderrenbacker@laurentian.ca. 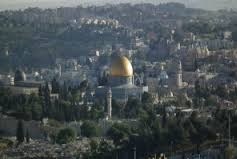 For a detailed itinerary and other registration information, please visit www.thorneloe.ca/holyland.